Mod patterns, heavenly hues, luxe velvet. Punch up your pillow-scape with our Pop Art collection of Milano pillows featuring five signature patterns in a range of dreamy colors. Layer your lair in luxury. 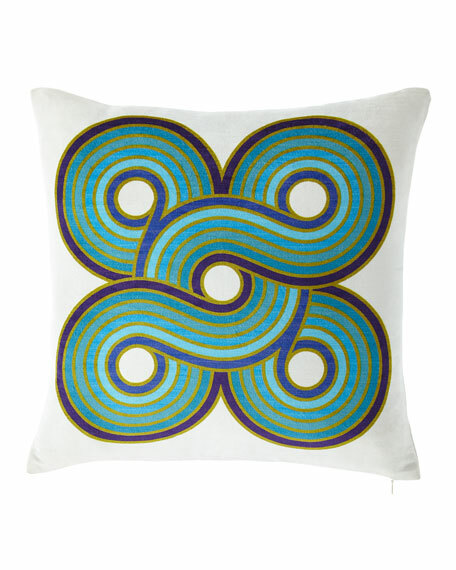 Velvet pillow featuring loop pattern.